Living off grid comes with all sorts of benefits. People speak of reduced reliance on the government, extra peace of mind, self-sustaining lifestyles, and all sorts of other things. All of it is true! There are many benefits to living off grid. But make no mistake: it’s no panacea. And it’s not cheap. 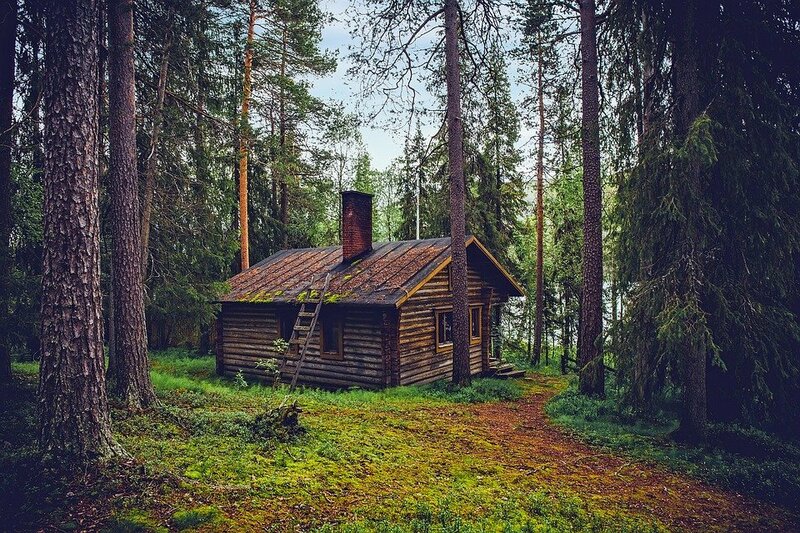 While living off grid will provide you with all sorts of advantages, both physical and philosophical, it comes with a number of disadvantages and inconveniences. Before taking the leap, you should be aware of some of the realities associated with going off grid. Although none of them are show stoppers, not everyone is willing to do all of the work, never mind change their lifestyle to support an off grid existence. There is also the cost factor. If you want to maintain some semblance of a modern lifestyle, prepare to fork over a fair amount of money. Some people say you can go off grid for very little money. This is absolutely true, provided you are willing to poop in a hole and read books by candlelight! What follows is the good, the bad and the ugly: the positives and negatives associated with living off the grid. For the purposes of this article, we will assume off grid means that you are not connected to municipal utilities: power, water, sewer. Although there are other aspects to being disconnected from the grid, these are the main ones. If you want to produce your own power, there are a few steps you need to go through. Firstly, you need to reduce your power consumption to something reasonable (or be willing to eliminate it!) We’ve managed to reduce our energy consumption quite substantially using an energy consumption monitor. These nifty tools are quite inexpensive and very effective in helping reduce the monthly energy bill. You might also benefit from reading Five Ways To Reduce Your Energy Bill. If you skip this step, you’ll probably find that your energy/battery requirements are too costly. In the early stages of going off grid you need to determine how much power you use, and how you will generate it. If you are living an urban life (with big TVs, electric heat and power-hungry appliances) you will find that your costs to implement that are excessive. So, you need to reduce your power consumption. Secondly, there is the learning curve, and the cost. Before deploying any alternative energy system you need to know which options will perform best for you (wind, solar, hydroelectric), you need to understand the technology and then you need to pay for it. Do yourself a favor and research this subject thoroughly. You might find ‘Taming the Sun: Innovations to Harness Solar Energy and Power the Planet’ interesting and enlightening. No matter what you do, you’re going to have to spend some money, and no matter which way you go, it’s probably not going to be cheap. 770 AH battery bank. You can read more about our solar set-up here. Regardless of what alternative energy system you put in place, odds are, at some point you are not going to have enough power and will need to run a generator, or do without electricity. The sun does not shine every day so for those days when it’s in hiding you’ll want to run a generator. Winter is also a time when a generator is used more, as produced power is less, and energy requirements are often more. All of this means you’ll probably want a generator, and given you’ll probably use it fairly often, you’ll want a good one. Diesel and gasoline are both options, as is propane. All of these may make sense for you depending on your requirements, locale, and availability. Regardless of which model you choose, you must consider the upfront cost, the fuel cost, and maintenance. 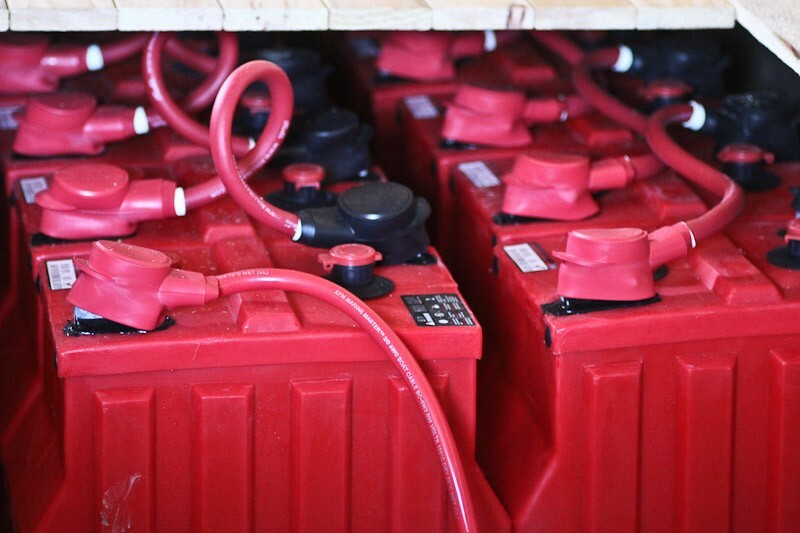 As well, if you are in a colder climate, you may want two generators, a primary and a backup. If it’s minus thirty outside the last thing you want to worry about is not having power. 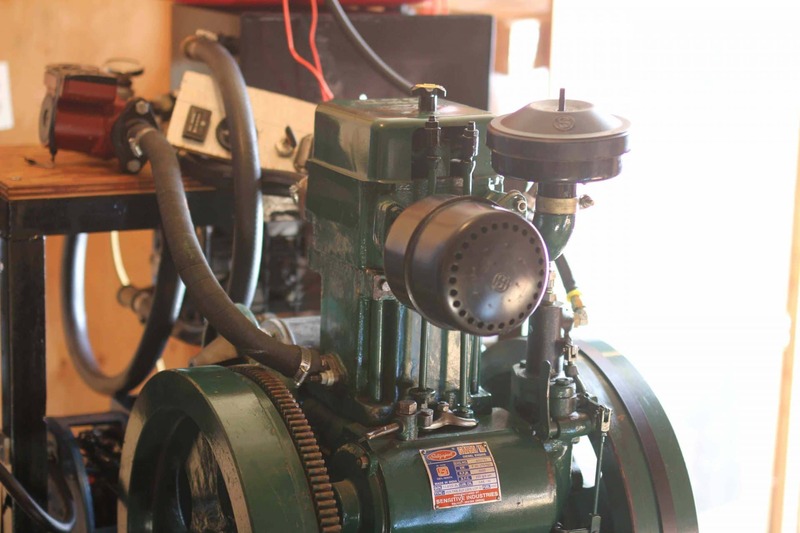 Lister Type Diesel Generator. Read more about it here. Most people get their water from a township or city: if you’re living off-grid, you’ll probably want a well. You may be able to pull from a river, or do water catchment, but most people end up putting in a well. The main downside to this is the cost. Although it is possibly to dig your own, this is not really feasible for most people. You’ll have to hire someone. This will probably cost somewhere in the neighborhood of twenty thousand dollars, possibly more or less, depending on the depth of the well and a few other factors. In addition to the well itself, you’ll need a well pump. The well pump is what lifts the water from the water table up to your property. They require little to no maintenance, though must be replaced as needed. Sometimes they last 5 years, other times, 10. Regardless, you need one! Once you’ve got your water well figured out, you need to think about how to deal with your sewage. For people in cities, it gets pumped into a sewer, and the city deals with it. Unfortunately, when you go off grid, it’s on you to deal with. Some people opt to store it in a tank, which they have pumped out regularly and others will have a septic system installed. Once set up correctly, a good septic bed and tank will last a long time, however the installation is quite costly. Many people choose to set up composting toilets. This is far more economical than a septic system. These toilets have advance quite a bit in recent years and there is little to no odor at all. If you stay on top of maintenance these toilets work flawlessly. With time, managing your bodily waste becomes quite normal. These toilets can be situated indoors making them far more pleasant in the wintertime than an outhouse. There is also the practicalities of Humanure – I think all off gridders go through various stages of comfort with this topic. Here is a book ‘The Humanure Handbook: A Guide to Composting Human Manure‘ that might enlighten you if you are just beginning to contemplate this interesting and practical subject. The simplest solution if of course is the classic outhouse. There are many innovative designs today that are worth consideration. I’ve seen some beautiful outhouses that have all of the comforts of the modern bathroom other than the ability to flush away and forget. Some people dig the classic hole however you can also build your own economical outdoor composting toilet. Regardless of which method you choose, living off grid means that you will need a good plan for managing your bodily waste. If you can figure all of this out and afford to pay for it, congratulations: you are now off the grid, and no longer reliant on a Government to provide you with these basic services! There is absolutely a certain satisfaction that comes from knowing you can provide for yourself. There is also the reality that you, and only you, are responsible for fixing things if they stop working. You will absolutely go through periods with no power, no water, and other issues. When this happens, the onus is on you to fix it. Of course you can always bring in outside help, but you’ll pay for it. There is no municipal department to call or rely on: it’s on you, and/or your contractors, at your expense. Are you willing to do that? If so, off grid living may be for you!